You will earn 3,374 Reward Points. Earn 1 reward point for every 1 dollar spent. Perfect for slicing and dicing, this Beverage Air SPED48HC-12M-2 Elite Series? 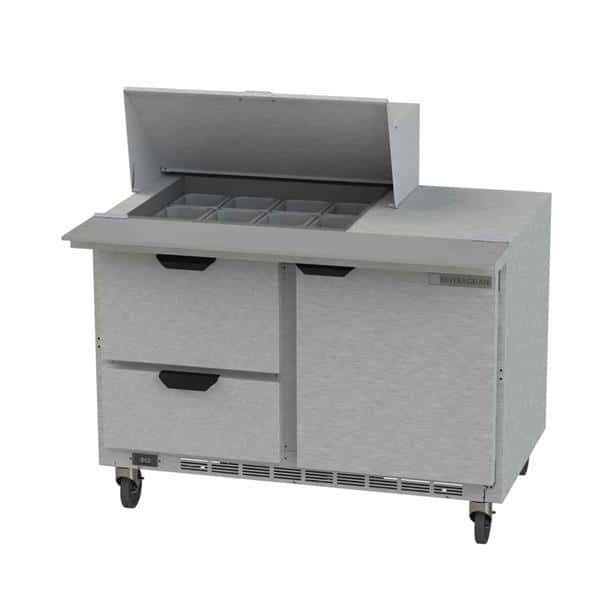 Mega Top Refrigerated Counter also features chilled food storage compartments for absolute freshness. This worktable is 45.50 inches tall, 48 inches wide, and 36.63 inches deep.